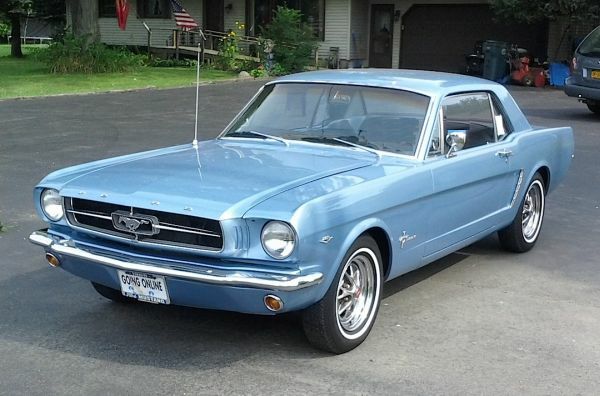 It’s been awhile since we’ve featured one of these, and this beautiful 1965 Ford Mustang is as good of an example as you’ll probably find — especially in this part of the country (okay, it’s from Arizona, but it’s still here). The fender badge indicates the popular 289 V-8, and it also sports the optional styled steel wheels (with whitewalls). Over a half-million of these were sold the first year — and that’s just the two-door hardtop. Another 102,000 convertibles and 77,000 fastbacks left the showrooms in that first, elongated model year. Found this one some months back in Wheatfield. Jim Corbran, RRofWNY …and check out our Facebook page: Non-American Classic Cars The post RealRides Of WNY appeared first on Buffalo Cars.